Description An early yellow apple ripening the first week in July. The fruit is tender, juicy and mildly acid, making it a favorite for homemade applesauce. Trees are upright, vigorous and very precocious, however tend to be biennial. 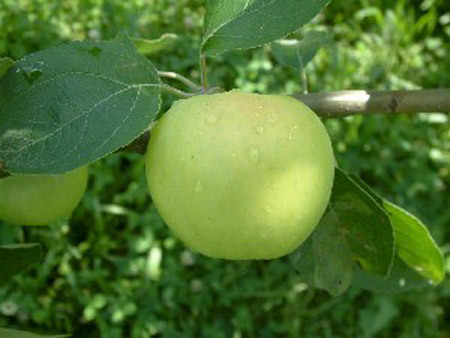 Pollination Information Yellow Transparent is an early blooming variety and can pollinate all other early blooming apple varieties as well as varieties with mid-season bloom times.